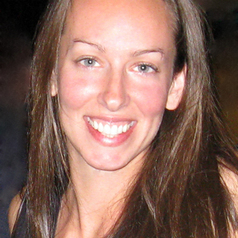 Heather Handley is an Australian Research Council Future Fellow and Associate Professor. She is a volcanologist and geochemist with expertise in volcanic and magmatic systems, geomorphology and environmental contamination of water and soil. Heather obtained a first class honours in her Bachelor of Science in geology from Edinburgh University in 2001, then went on to undertake a PhD on the geochemistry of Indonesian volcanoes at Durham University in the UK. In 2007, she joined Macquarie University as a Post-doctoral Researcher. In 2012, Heather received an Australian Research Council Future Fellowship to advance our understanding of the timescales of both volcanic and weathering processes, such as, how long gas builds up in a magma prior to eruption and how long sediment is transported by river systems. In 2014, Heather received the Australian Institute of Policy and Science, Young Tall Poppy Award.